As the warmer weather approaches, there is no doubt that you will want to get out and about. But with so many options to choose from in Pennsylvania, how do you know the best possible places to hike? Luckily, we are here to help narrow down the list. 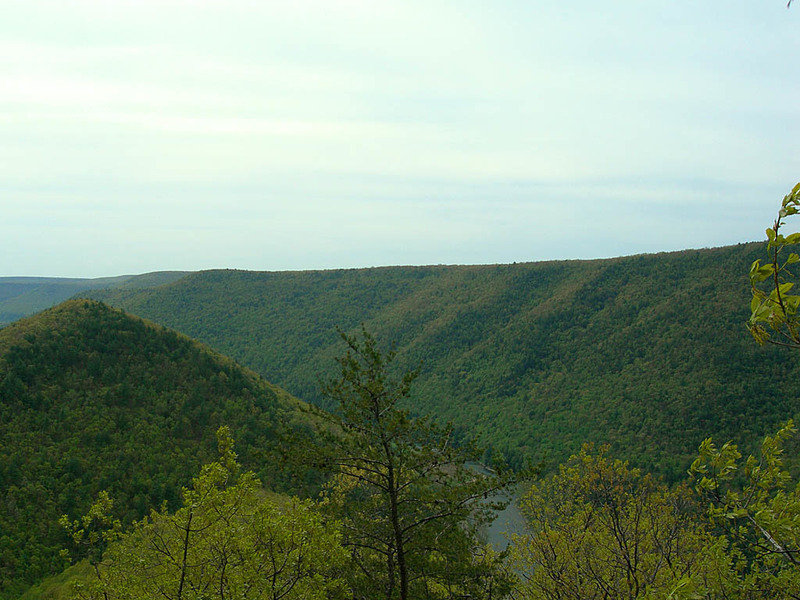 Here are some of the finest and most enjoyable places to hike that Pennsylvania has to offer. 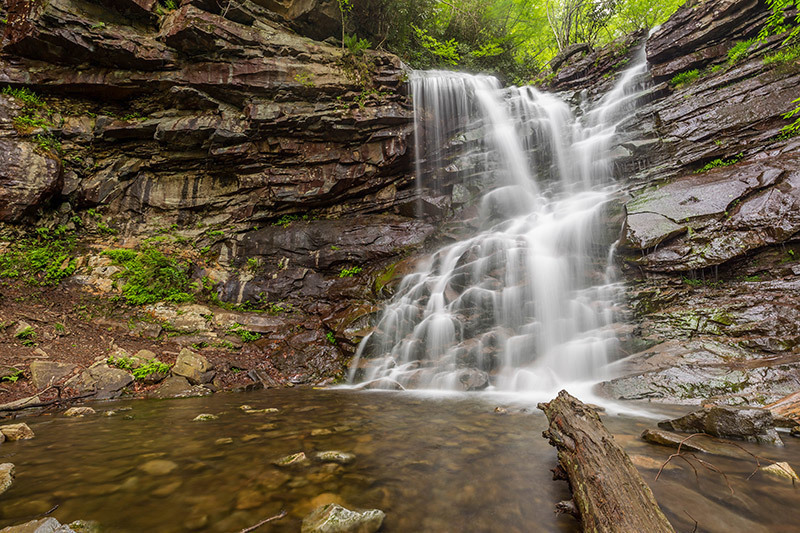 Located just outside of the village of Jim Thorpe, Glen Onoko Falls will help provide a challenging but scenic hike. Starting out as a simple and easy trail, the hike quickly advances to a narrow and slippery adventure. Surrounded by rocks and boulders, you will eventually be able to see multiple beautiful waterfalls should you climb high enough. Proper hiking boots are essential for this hike and will certainly come in handy. When you are done exploring the woods, explore Jim Thorpe itself, voted one of the best small towns in the United States. Glen Onoko Falls can be found by inputting its name into Google Maps and heading toward Jim Thorpe, PA 18229. Coming in at nearly a ten-mile hike, Wolf Rocks Loop Trail is a major part of the Highlands Trail System. You will be able to see stunning views of the stream valleys below as you hike past the areas of Wolf Rocks and Beam. Slightly difficult for experienced hikers, portions of the hiking area are a bit overgrown. Passing through remote areas and littered with boulders, this hike is a popular destination for rock climbing enthusiasts. Wolf Rocks Loop Trail can be found at Linn Run Rd, Somerset, PA 15501. 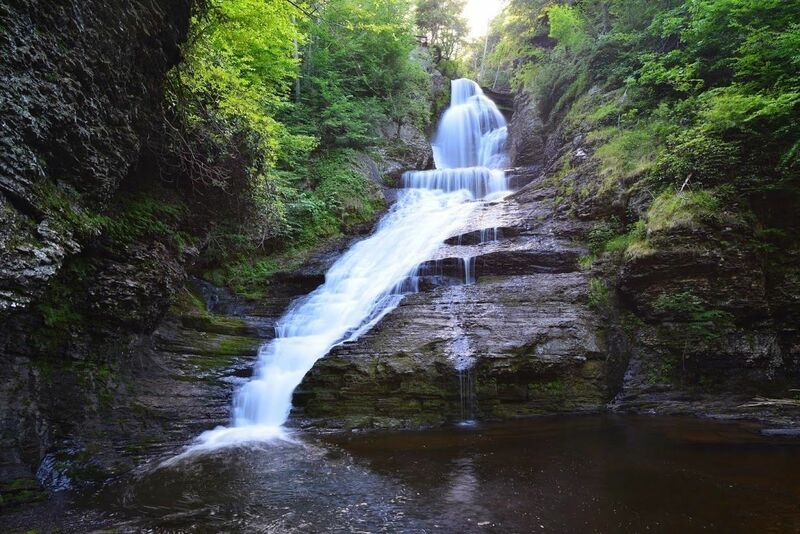 Featuring four main hiking trails to choose from, Bushkill Falls in Stroudsburg features waterfalls, stunning landscape, and a plethora of wildlife. 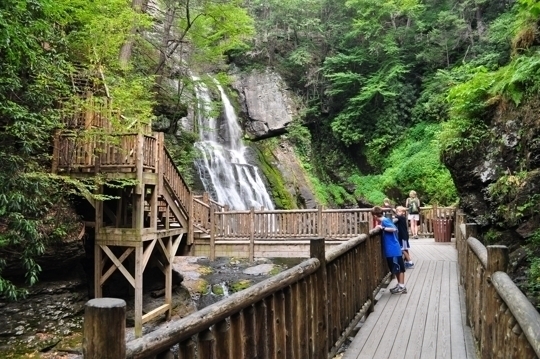 Containing eight waterfalls, Bushkill Falls has a wide variety of sights to see. With trails ranging from 15 minutes long to up to 2 hours long, there is a ton of area to explore. Whether it is on the green, yellow, blue, or red trail, there is something to see no matter which path you choose. Bushkill Falls is located at 38 Bushkill Falls Trail, Bushkill, PA 18324. While shorter than the other trails we have discussed thus far, Dingmans Ferry Creek Trail has no shortage of sights to see. As you walk through the path, you will be surrounded by lush and full foliage nearby. On top of that, you will be able to hear the pleasant sound of Dingmans Falls throughout your hike, and ultimately be able to witness it in all of its glory as you reach the end of the journey. Dingmans Ferry Creek Trail can be found at 224 Dingmans Falls Rd, Dingmans Ferry, PA 18328. Gaining over 2,240 feet in elevation, Golden Eagle Trail is the place to go to if you are in search of a rugged, but enjoyable experience. Located near both the towns of Slate Run and Cammal, Golden Eagle Trail is a nine-mile loop that takes you on a journey through dense forests, past waterfalls and lively streams, and mesmerizing rock formations. As if that wasn't enough, you will also come across old camps, quarries, and even some dams. While it might be a strenuous hike at times, the payoff at the end with a view of the Pine Creek valley will make it entirely worth it. Golden Eagle Trail can be found at PA-414, Cammal, PA 17723. Hawk Mountain Sanctuary provides something a bit different than the other hiking areas we have discussed thus far. Over 2,600 acres vast, this destination is a nature reserve established in 1934 for all sorts of birds. As you ascend to the 1,300 or 1,500-foot overlooks, you will be able to see a wide array of the 235 species of birds that reside there flying overhead. While some of the trails may be a bit more difficult than others, there is an option for all levels of fitness to enjoy here. Hawk Mountain Sanctuary can be located at 1700 Hawk Mountain Rd, Kempton, PA 19529. 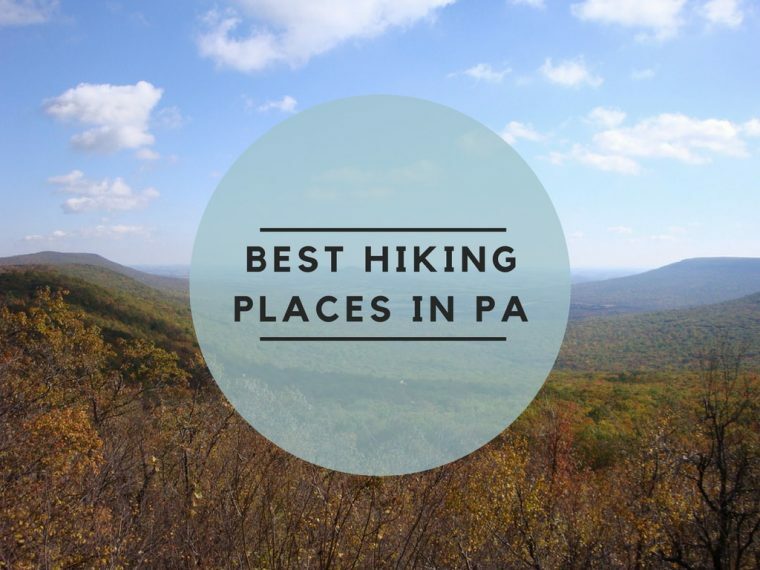 Overall, this list barely graces the full extent of places to hike in Pennsylvania. 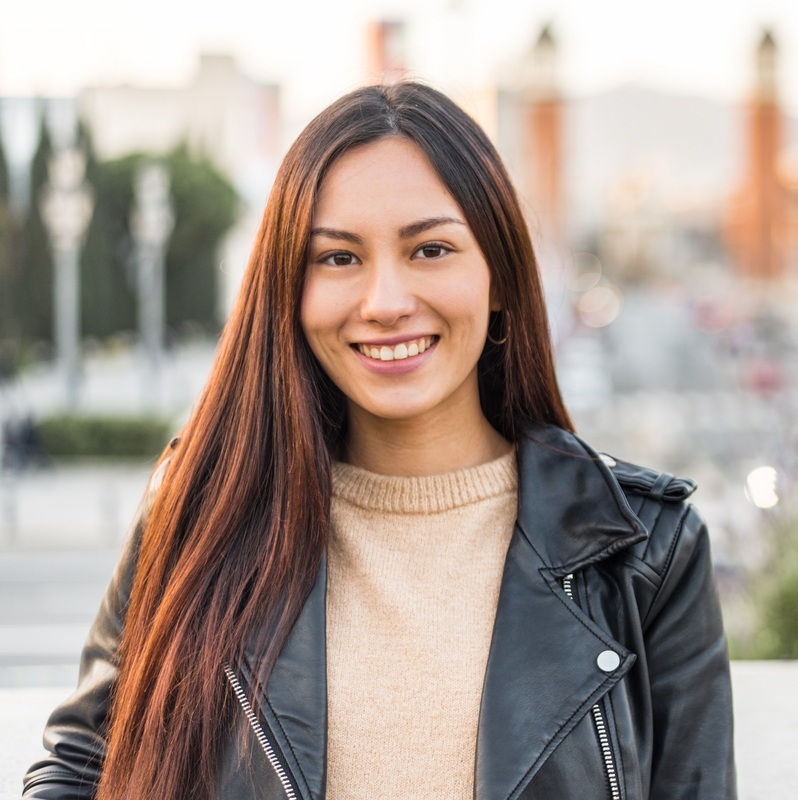 While these may be some of the best, you may prefer others that have been left off of this list instead. So get out there and start exploring and find your favorite place to hike in all of Pennsylvania today!